And today it happens to be Isaac Newtons birthday. Today’s Google Doodle shows an apple actually falling from an apple tree in an animated doodle.
. Happy Birthday Newton !!! No, this is not another Dilbert comic strip that I am copy pasting. I just used it to convey the message how paranoid we are getting about security. Understandably so. Coz most of the work that we do these days is online. Our bank account passwords, credit card numbers and all important personal information is at risk . Insisting on strong passwords, firewalls, multi-layer security are some of the necessary evils. But there are times some measures sound just ridiculous. A lot of times Usability takes precedence over security. While I understand that it is for our own safety, the only way to be perfectly safe is to lock your data in a locker and bury it six feet underground in a location known only to yourself. Even that is susceptible to accidental discovery or satellite discovery. Some amount of trust is essential to keep things going. We need to strike a balance between security and usability. Even in everyday life, we trust somebody or the other for our existence. It is difficult to decide: How much security is enough and how to strike that balance. But the problem seems to be that nobody is interested in striking the balance. Everybody seems to be interested in increasing security and playing it safe and rather than trusting fellow humans. Is the world getting increasing paranoid about security? There was one story that our physics sir at school would love to narrate. There was this waterfall in Mysore and everybody admired it. Poets wrote pages on the beauty of the Kaveri river. But there was one man who saw it and exclaimed “What a waste!! !” That was Sir. M Visvesvaraya. He said that because he saw the potential hydro energy being wasted and untapped. He went on to become the chief Engineer of the Krishna Raja Sagar(KRS) dam, Mysore built in 1924. This dam remains an engineering marvel and one of the popular tourist attractions till date. It was the first dam to be built with ‘surkhi’ a mixture of limestone and brick powder instead of cement. He built many dams later which are still functional. He also honoured with the Bharat Ratna for his contributions. It happens to be his birthday today(the 15th of September) that we celebrate as “Engineers Day” as a tribute to the engineering wizard. Let us hope he inspires lot more engineers to acheive greater heights and come up with more viable and cost-effective solutions for the problems of the real world. it and build on it. valuable time and money. All this was a costly affair. At no other point of time would these humble words of a genuis mind be more relevant than now. If the new generation boasts of acheiving greater heights it is not because we are the most intelligent generation but simply because we are better equipped than our predecents. All the acheivements that we have acheived till now are because we don’t have to reinvent the wheel. It is already there we just have to use it and build on it. I realise this everytime I use technology as an aid. And what better example than a google search. Anything under the sun and even beyond the sun is available here. For example, if you forget some command, searching for it wasn’t so easy. You needed to know where to find it. If it is a book, is it a part of the library, is it available currently. Or ask some resource person / expert/ peer. Esp. if it is learning a new technology attend classes for it, travel half the world to attend conferences or training sessions. Buy related books and required equipment. Programs written in low level languages and compilers took long to execute any program. Any error costed lots of valuable time and money. All this was a costly affair. Now it is just a matter of seconds. Type anything that might be relevant to the command and lo! you have the thousands of pages throughout the world giving you the answer. 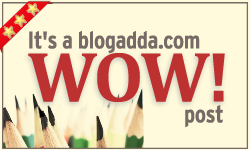 Visit any forum and you have all the expertise dished out to you, that too for free. You don’t have to waste your time and money doing the same mistakes that somebody has already done. Just a PC and an Internet connection and you have the world at your disposal. It is difficult to even imagine a life without these facilities in our life. So if you are getting things done in a record time. If you are able to produce excellent results from a project. You also have somebody else to be thanked other than yourself. This is just one example related to programming world but the same holds for all the other fields. Faster information dissemination, the way we communicate and the ultra modern ubiquitous technology has enabled the modern day human beings much beyond our imagination and simply changed the way we live. Let us toast the technology and all those who made a better life possible. This post was a part of my drafts from a long time. Since today is the 40th birthday of the Internet, so I thought this would be the best time to post this . 40 yrs ago on 2nd Sept 1969, the first test packets were exchanged on two computers in University of California. This eventually led to the birth of the Internet and the rest as they say is history. Chandrayaan-1, the first Indian lunar probe is facing a technical snag. The star sensors aboard have failed. This is expected to bring down it’s life. It is a disturbing news. 😦 Let’s hope for better luck with Chandrayaan-2. As a child I had always imagined computer to be a magic box. A mean machine that would answer all the questions that you throw at it. It was only as I grew up I understood it is the GIGO(Garbage In Garbage Out) principle at work. I was disappointed to some extent but nevertheless understood that is how things work and computer is not a panacea. With the arrival of “The Internet” that came to India in 1995 things looked different. And then came a invention called Google which has been the top dog among search engines for almost a decade. It was a path breaker and somewhat resembled my imagination of a computer. You type in any question and it would link you to the pages that answers your question within fraction of a second. But there is one thing I still miss whenever I am out to search an image. An Image search engine. Currently(as per my knowledge) we have only text search. We can get image results but we cannot upload a image and say “Search an image that looks something like this”. Now that is being “extra greedy” I guess but that is how Human Mind works ( Yeh Dil Mange More). What say? PS:The celebrated Stanford professor, Rajeev Motwani, known worldwide for mentoring and advising founders of the companies like Google and PayPal, has died in a freak drowning incident. He co-authored the paper on pagerank with Larry Page and Sergey Brin(Founders of Google) and Terry Winograd. Let his soul rest in peace.